Blue Bell has recalled a number of products that may be linked to listeria infections in Kansas. Three months after candy apples contaminated with Listeria bacteria were linked to seven deaths, another sweet treat may contain the bacteria and could be a contributing factor in at least three deaths. The Centers for Disease Control and Prevention announced over the weekend that the agency is collaborating with state and local authorities to investigate an outbreak of listeriosis linked to certain Blue Bell ice cream products consumed before five people in Kansas became sick and three later died. So far, the joint investigation found that certain Blue Bell brand ice cream products are the likely source of some or all of the people’s illnesses. The five people who became ill in Kansas were confirmed to be infected with one of four strains of Listeria monocytogenes. All five people – older in age – were hospitalized at the same hospital for unrelated problems before developing invasive listeriosis, suggesting they were infected at the hospital, the CDC reports. Investigators say the illnesses began between January 2014 and January 2015. Although some of the illnesses began more than a year ago, the listeria cluster identified earlier this month shows that some of the infections are indistinguishable, meaning they are likely from the same source. Of the patients infected, four consumed milkshakes made with a single serving Blue Bell brand ice cream Scoops while they were in the hospital. The CDC reports that in unrelated investigations, the South Carolina Department of Health and Environment Control isolated Listeria monocytogenes from several Blue Bell products including Chocolate Chip Country Cookie Sandwiches and Great Divide Bars. Similarly, the Texas Department of Health and Human Services collected product samples from the Blue Bell Creameries production facility in the state, finding Listeria monocytogenes in the same products. 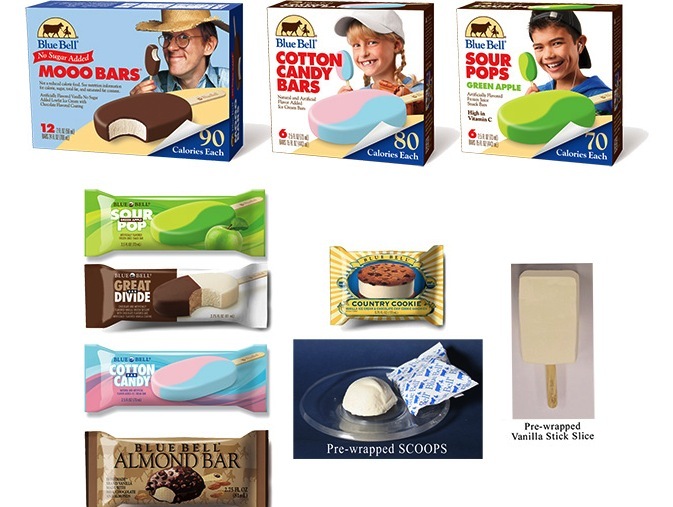 In response to the investigation and the findings of Listeria monocytogenes, Blue Bell Creameries issued a recall and removed several products from the market including Scoops, Chocolate Chip Country Cookies, Great Divide Bars, Sour Pop Green Apple Bars, Cotton Candy Bars, Vanilla Stick Slices, Almond Bars and No Sugar Added Moo Bars. A spokesperson for Blue Bell tells the Associated Press that Blue Bell has removed all affected products from all 23 states were they were sold. The machine linked to the contamination has been permanently shut down. The CDC recommends consumers do not eat any of the Blue Bell brand products that have been removed from market.